What is cervical pain? Simply put, it's a pain in your neck. The cervical part of the spine is your neck and is a marvelous and complex structure. It is capable of supporting a head weighing 15 or more pounds while moving in several directions. No other region of the spine has such freedom of movement. This combination however, complexity and mobility, make the neck susceptible to pain and injury. Whiplash is a common injury sustained during an auto accident. This is typically termed a hyperextension and/or hyperflexion injury because the head is forced to move backward and/or forward rapidly beyond the neck's normal range of motion. The unnatural and forceful movement affects the muscles and ligaments in the neck. Muscles react by tightening and contracting creating muscle fatigue resulting in pain and stiffness. Degenerative disorders such as osteoarthritis, spinal stenosis, and degenerative disc disease are known to affect the spine. Poor posture, obesity, and weak abdominal muscles disrupt the spine's balance often causing the neck to bend forward to compensate. Stress and emotional tension can cause muscles to tighten and contract resulting in pain and stiffness. 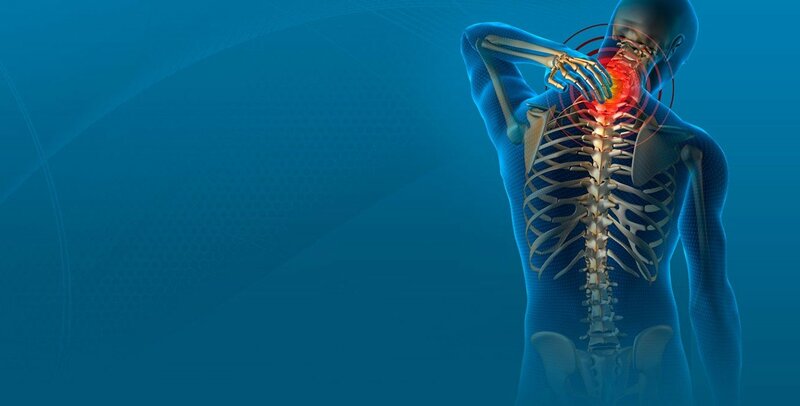 Although neck pain is commonly caused by strain, prolonged pain and/or neurologic deficit may be an indication of something more serious. These symptoms should not be ignored. Spinal infection, spinal cord compression, tumor, fracture, and other disorders can occur. If head injury has been sustained, more than likely the neck has been affected too. It is wise to seek medical attention promptly. The neurological examination tests the patient's reflexes, muscle strength, sensory and/or motor changes, and pain distribution. Non-surgical treatment is not helping—that is, you've tried a combination of chiropractic care, physical therapy, medication, massage, exercises, and more, and you're still in pain. You're having trouble with balance or walking. Your surgeon will determine what's best for your condition. Stabilization surgery is sometimes—but not always—done at the same time as a decompression surgery. In some forms of decompression surgery, the surgeon may need to remove a large portion of the vertebra or vertebrae. That results in an unstable spine, meaning that it moves in abnormal ways, and that puts you more at risk for serious neurological injury. In that case, the surgeon will restabilize the spine. Commonly, this is done with a fusion and spinal instrumentation. Recently, surgeons have begun using artificial cervical discs instead of fusion and spinal instrumentation. Again, your surgeon will determine what's best for your condition. For more information, you can read about alternative treatments for neck pain. For more information, schedule a free consultation with our Seattle chiropractors to help treat your pain. For more information, you can read about medications to relieve neck pain. For more information, you can read about physical therapy for neck pain.